Proposed new tax incentives for British films will deter Hollywood studios from shooting large-scale movies in the UK, broadcasting union Bectu has said. "We believe these proposals will act as a deterrent to inward US investment," a spokesman told the BBC News website. In proposals set out earlier this year, a film would need to be "culturally British" to be eligible for relief. The Treasury is expected to clarify its position on subsidies in Gordon Brown's pre-Budget statement next week. A spokesman for Ealing Studios in London said it was "eagerly awaiting" the announcement. The Financial Times reports that uncertainty over government policy has led to the UK industry losing out to other international production sites. According to a report co-funded by the UK Film Council released in September, production has dropped to about £480m this year - more than 30% down on 2004. "It's no surprise production is down this year because of the tax situation and other countries offering better incentives," said a Film Council spokeswoman. According to Bectu, however, the government's new proposals are not the answer. "By limiting the criteria of what defines British film you're opening yourself up to all sorts of problems," said a union representative. "The fact that the new James Bond film Casino Royale is shooting in Prague is a case in point." In May Culture Secretary Tessa Jowell said "everything possible" was being done to ensure Casino Royale was made in the UK. 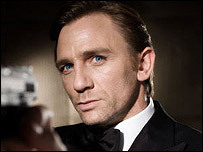 But Bond producers later revealed the majority of filming will take place in the Czech Republic, Italy and the Bahamas, with just one week of shooting in Britain. In August Pinewood Shepperton, where the Bond films are usually shot, announced that operating profits sank to £1.6m for the six months of 2005, compared with £6.6m at the same time last year. 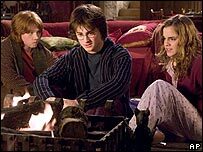 The fifth Harry Potter film, The Order of the Phoenix, is the only large-budget film due to be made in the UK in 2006.